Don’t Forget About Your Air Conditioner’s Air Filter! If you’ve checked out our blog previously, or if you have at least perused our website, then you know that we are big advocates for routine air conditioning maintenance. There is no getting around the fact that nothing else comes close when it comes to benefitting your AC in many major ways. While we also advocate against DIY service attempts that could leave your AC worse off than ever, there is one maintenance step that you can take on your own in order to help keep your AC in the best working condition possible. That is simply changing the air filter in your system. While it may sound trivial, keeping a fresh air filter in your system is actually a vital task that can greatly benefit your AC in and of itself. 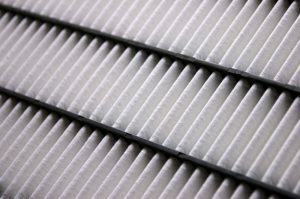 Not convinced that changing your air filter regularly is worth it? Then be sure to review the following information and to keep it in mind. Once you do, we think you’ll be pretty vigilant in providing your air conditioner in Newberry, SC with fresh filters moving forward. Posted in Air Conditioning | Comments Off on Don’t Forget About Your Air Conditioner’s Air Filter! If you are using window unit air conditioners in order to cool your entire home, then you really are doing yourself a disservice. Sure, these systems have their uses. However, they are not an ideal option for cooling a whole house. They run pretty much constantly, burning through energy and leaving warm spots in the house. Plus, they leave the house unsecured, as they sit in open window frames. A much better option for whole-house cooling is a system designed to do just that: cool a whole house. That is where the central air conditioner comes into play. A central AC is specifically manufactured in order to keep an entire house cool throughout its living space. These systems must be appropriately sized for the spaces in which they are installed, and they must be professionally serviced. 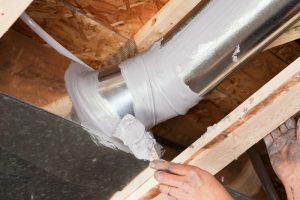 If you use a central air conditioner in Prosperity, NC, you need to know that every component of that system, including its ductwork, is working properly.